With Thanksgiving about a week away, how are your preparations coming along? If you’re one of those meticulous planners, you probably have everything under control already. But, if like many of us, you still haven’t started, here’s a list that will help you plan a great Thanksgiving. Menu. How many and what dishes are you planning to make? How many side dishes? Will you be preparing all of them or is it possible to get someone else to pitch in? Some guests may be glad to bring a side dish or dessert. It might actually make them happy and reduce your work load – so everyone wins. When deciding your menu, pick the dishes that you are comfortable with. Don’t worry about outdoing someone else’s Thanksgiving. Stick with what you’re good at. And of course, a few traditional dishes. Shopping What are the things you need to buy? Check your pantry and cupboards and make a list of items you need to buy. Make a note of the quantity you will need based on your guest list. Write your note clearly and indicate which stores you plan to buy each item from, the quantities and the brand name, if you have a preference. This way, someone else can do the shopping for you, while you get something else done. It’s better to get shopping out of the way a couple of days ahead if you want to avoid the holiday rush in stores and on the road. See if you can get a couple of hours off from work in the morning when stores are least crowded. Decorations. Home made or store bought? How elaborate? Once you have decided, you can probably enlist the help of teenagers or older kids in your family. It will keep them occupied while freeing you up to prepare the meal and is also a great way to encourage participation from kids. Once you have given them the directions, don’t micromanage. When you aren’t looking over their shoulders, kids tend to do a good job. Entertainment. Think of ways to keep guests entertained during their stay. Plan for a family board game or movie. Ask your kids to bring out some of their toys, books, puzzles and games so visiting kids will have something to do. Have coloring sheets, crayons, a white board and markers handy to keep young kids engaged. For the grown ups who aren’t into watching sports, plan an activity like a stroll around your neighborhood or a card game. Don’t forget conversation. Be sure to spend some time catching up with each of your guests. Remember to take pictures of and with all your guests. Cleaning before and after. Enlist the help of all family members for getting the house in order before Thanksgiving. Allocate an area of the house or a certain chore to every member. Kids could clean up their rooms, pick up toys around the house and maybe help with wiping small surfaces like end tables and chairs. Rearrange furniture if you have to, so you can seat everybody and create conversation areas in every room. Move items you won’t be using for a couple of days like bicycles and exercise equipment away from the main entertainment space, to create more room. For after-Thanksgiving clean up, don’t hesitate to accept your guests’ offer of help. It will give you a chance to catch up and make them feel like they contributed. Miscellaneous. If you have to pick up out of town guests from the airport, see if you can get someone else to do it while you prepare the meal. If not, plan to leave work a little early, so you can get some preparation out of the way before heading out to the airport. Plan and prepare for traffic delays. Keep a watch on your local traffic beat. Keep your refrigerator stocked with extra milk, juices, vegetables and other items so you don’t have to go looking for a gas station or store that is open on Turkey Day. Send ecards. Don’t forget to send free Thanksgiving ecards to everyone – including the people who won’t be making it to your dinner. Schedule free ecards a few days ahead so you don’t have to worry about it the week of Thanksgiving. You could also print out a few Free Printable Thanksgiving cards for kids to color in. Above all, relax and enjoy. Simply celebrate every aspect of the holiday, even if a few details happen to go wrong. Don’t sweat the little stuff. Who cares if your house isn’t spotless or if the napkins aren’t arranged like doves or if you’re one side-dish short? What’s important is that you and your loved ones have come together on Thanksgiving to think about all the things you are thankful for. Keep that in mind, and your Thanksgiving checklist won’t feel that overwhelming any more. Even though the Pilgrims were thanking the Native Americans for helping them survive their first winter in America, over half of the Pilgrims who came to America on the Mayflower had already died from cold, hunger and other ailments. Today Americans eat turkey and pumpkin pie, but in the first years of the Thanksgiving celebration, the main course was simply any bird that could be successfully hunted. And as for pumpkin pie, a lack of ovens made that impossible, though there was boiled pumpkin for dessert. 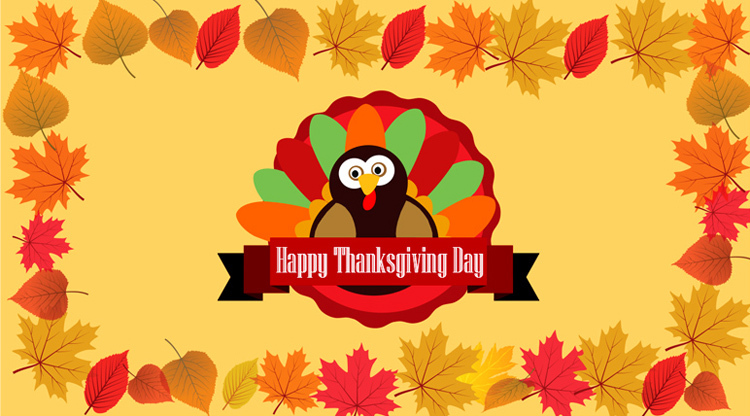 The first American Thanksgiving took place in St. Augustine, Florida, which is also the first American city. Today we think of Thanksgiving as a very special holiday, but back in the time of the Pilgrims, it was simply one feast day among many others. Indeed, both English and Native American colonies had long been holding regular harvest festivals. Thanksgiving is simply the one that endures today. For many years after the first Thanksgiving, the holiday was only periodically observed. After fruitful harvests, there usually was a large feast. After bad harvests, fasting was instead how the season was observed. Today we think of Thanksgiving as a feast day, and, thus, it is mostly seen as a non-religious holiday. The Pilgrims in Plymouth, though, put more emphasis on giving thanks to their God. So Thanksgiving was originally a very religious holiday. In modern times, Thanksgiving has become a once-annual celebration. In the time of the American Revolutionary War, though, the Continental Congress regularly declared more than one Thanksgiving day in any given year. America’s National Football League has hosted a game on Thanksgiving Day every year since the inception of the league. Until the mid 1990s, the Thanksgiving Day game was the only game played on day other than Sunday and Monday. The day after Thanksgiving is known as Black Friday. It is the heaviest shopping day of the year in America, and gets its name from the fact that many companies go from the “red” (losing money) to the “black” (turning a profit) because of day-after-Thanksgiving sales. Perhaps the oddest tradition to arise from Thanksgiving is turkey bowling: a frozen turkey is thrown at a group of plastic soda bottles, with the object being to knock down as many of the bottles as possible. So, as you can see, Thanksgiving is about more than just sitting down with your family and eating turkey. Thanksgiving is coming right around the corner, and that means it’s almost time for us to reconnect with family members we very rarely get to see. Thanksgiving is also a time for grandparents to get hugs and kisses from grandchildren who live so far away from them. How great would it be if this Thanksgiving you could help your son or daughter with a fun little project…something they could show to Grandma or Grandpa on Thanksgiving Day? Well, here’s how you can do it! With all the great free animated ecards available at Got-Free-Ecards.com, there are also a ton of “do-it-yourself” card projects, perfect for young children to do (with a little help, of course!). With just a few easy steps, you can help your son or daughter make Grandma and Grandpa fun little printable cards. First, go to the Free Printable Thanksgiving Cards page. Once you’re there, you’ll see all kinds of different designs to choose from, in thumbnail form. You and your son or daughter just pick your favorite one, and click on it. Oh, if you just roll over the thumbnail images with your mouse, you’ll get to see a larger preview of the image, too. If you pick one of the coloring cards, all you have to do is click on your design, and when the larger image appears on the next page, click “Print.” Then, you and your child can color in the picture together. With these coloring cards, you can add your own text and photos, too; but they’re also perfect just the way they are, too. If you don’t want to do a coloring card, though, just pick your favorite design among the others, and click on it to go to the design page. The first thing to notice are the two tabs at the top of the page: “Cover” and “Inside.” Clicking on each tab will show you a preview of the corresponding parts of the card, and you can edit both the cover and inside to your heart’s content. For now, let’s start with the default: the cover. After the picture loads, if you decide you really don’t want to use it, click the new X that appears. Otherwise, by clicking and dragging anywhere on the image, you can move it around the screen. You can also, if you position the cursor at any edge of the picture and then click and drag, resize the picture. There’s also a little curved arrow at the top right of the image, too. By clicking and dragging that, you can tilt the picture to different angles. (All of these features, by the way, can be utilized with the default image, as well.) Once you have your image just the way you like it, it’s time to move on to text. Click the “Add Text” button, to the right of the card, and a text box appears inside the card. After you type your message, you can maneuver it around the screen, in exactly the same way you did with your image. Now, to the right of the card, you’ll see a bunch of font options. Here, you can change the font, the color, style and alignment. Now that we’re done with the cover, click the “Inside” tab at the top of the card, and design the interior any way you like—exactly the same way you did the outside! It’s a relatively easy process, as you can see, and a fun activity you can do with your son and daughter. And don’t forget Grandma and Grandpa—they’ll love the Thanksgiving card you and your child made together!